More than 175 of London’s most prolific foreign national offenders have been removed from the UK in just a few months as a result of a joint operation by the UK Border Agency and the Metropolitan Police. Operation Nexus was launched at the start of September to target the increasing number of high-harm foreign national offenders and immigration offenders in London. 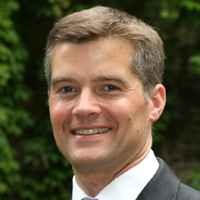 Immigration Minister Mark Harper said: ‘I’ve been clear that we will take all possible action against individuals who pose a risk to the public and remove them from the country at the earliest opportunity. ‘Through our combined work with the police we are using the full force of immigration powers on those who seek to commit crime and damage our communities. Many of the operation’s successes have come as a result of posting UKBA officers in 21 custody suites across London. This now allows UKBA to run real-time immigration checks on individuals bought into custody for a crime and establish if they are wanted abroad, have previous convictions abroad or are here illegally.